AdvanceNet Health Solutions is pleased to announce our fully integrated e-prescribed solution to our enterprise pharmacy management software, ePostRx�. Fully certified on SureScript 10.6, the electronic prescribing solution includes automated Prescriber Download functionality. The current solution automates the receipt of the electronic prescription in the workflow manager, incorporating matching logic for the patient, to streamline dispensing, with minimal user interaction. Outbound physician contact incorporates the data in the Prescriber download directory to make the determination if the physician is eligible for electronic contact. When the prescriber is not eligible for electronic contact, the system will default to fax communications. Open source technology consulting and Project Development. Then contact ANSHealth and get involved with the ePostRx community today! 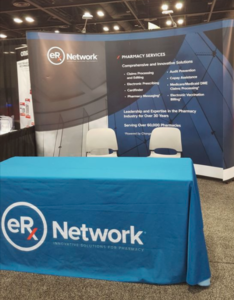 eRx Network ePrescribing enables the direct exchange of ePrescribing transactions between pharmacies and physicians through their ePrescribing application. By automating new prescriptions and refill requests/ responses, eRx Network ePrescribing improves the prescription process� overall efficiency and, as a result, the quality of patient care. Utilizing its Intelligent Routing� to determine the most efficient electronic route between pharmacy and physician, eRx Network is able to provide a single route for all refill requests (fax or electronic), regardless of the prescriber�s participation in ePrescribing. eRx Network ePrescribing is further set apart by a variety of value-added, online self-help and troubleshooting tools. Our real-time script-viewing application allows pharmacy users to view all transmitted refill requests and new prescriptions. Contact a sales representative to find out which services are available for certain commercial payers. 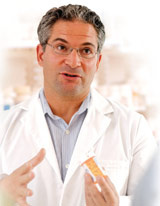 E prescribing software for pharmacists and physician offices. Certification for electronic prescription prescribing by sure scripts, Change Healthcare, sureScripts, implementation guide, competitors, All scripts and AllSCripts. Regulations for eprescribing for medicare and Medicaid and controlled substances. Paperless CPOE E-prescribing pads, Eprescribing by RXnt, and AARA and CCHIT certified ePrescribing companies. electronic transmission of prescription information. RelayHealth is an intelligent network that improves clinical communication, accelerates care delivery and drives cash collections by connecting patients, physicians, hospitals, payers, and pharmacies. Our pharmacy solutions save time, increase productivity, and minimize claim submission errors built on the foundation of RelayHealth�s Intelligent Network, our state-of-the-art claims processing network offering instant access to payers with efficient and reliable real-time processing. and others which offer editing and reconciliation capabilities that maximize claim reimbursement while supporting patient safety. Stop erosion of retail market share, enhance competitiveness, and ensure medication compliance with our patent-pending Patient AssistanceRx�, Preferred PatientRx�, and eVoucherRx� programs. Enhance decision-making capabilities with AWP Resubmission Services*, Prescriber Data Management Services, and our analytic reporting. These solutions provide actionable business intelligence and tools to improve profit margins and tackle the most prominent issues facing pharmacies today. Other solutions include Easy340b�, EasyFSA� , and IntegrateRx�. For more information about RelayHealth solutions or to contact us, use the link provided below. The industry's only crafted source enterprise pharmacy solution. E-Prescribing - a prescriber's ability to electronically send an accurate, error-free and understandable prescription directly to a pharmacy from the point-of-care - is an important element in improving the quality of patient care. The inclusion of electronic prescribing in the Medicare Modernization Act (MMA) of 2003 gave momentum to the movement, and the July 2006 Institute of Medicine report on the role of e-prescribing in reducing medication errors received widespread publicity, helping to build awareness of e-prescribing's role in enhancing patient safety. Adopting the standards to facilitate e-prescribing is one of the key action items in the governments plan to expedite the adoption of electronic medical records and build a national electronic health information infrastructure in the United States. The MMA created a new voluntary prescription drug benefit under Medicare Part D. Although e-prescribing will be optional for physicians and pharmacies, Medicare Part D will require drug plans participating in the new prescription benefit to support electronic prescribing. On November 7, 2005, CMS published the first set of adopted standards known as the foundation standards. The foundation standards became effective on January 1, 2006. These standards apply to all electronic prescribing done under Part D of the MMA. MMA required CMS to implement pilot projects to test additional standards. These additional standards were pilot tested in 2006. On June 23, 2006 CMS published an interim final rule with comment to adopt NCPDP SCRIPT Standard version 8.1 on a voluntary basis to be used for e-prescribing. The results of the pilot test were announced in a report to Congress in April 2007 and were the basis for an NPRM proposing additional standards that was published on November 16, 2007. The final e-prescribing rule was published at the Federal Register on April 7, 2008. In this final rule CMS adopted 3 additional standards for use in e-prescribing under part D.
Surescripts operates the nation's largest e-prescription network and supports a rapidly expanding ecosystem of health care organizations nationwide. Surescripts certifies software used by prescribers, pharmacies and payers/PBMs for access to three core services: Prescription Benefit, Medication History and Prescription Routing. 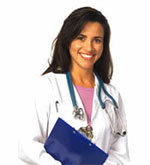 In addition to e-prescribing, we also have Clinical Messaging services. Surescripts is helping to make the electronic exchange of healthcare information more accurate, secure, efficient and convenient. In 2000, the Institute of Medicine identified medication errors as the most common type of medical error in health care, estimating that this leads to several thousand deaths each year. Causes of medication errors include mistakes by the pharmacist incorrectly interpreting illegible handwriting or ambiguous nomenclature, and lapses in the prescriber's knowledge of desired dosage of a drug or undesired interactions between multiple drugs. Electronic prescribing has the potential to eliminate most of these types of errors. The computer can ensure that clear and unambiguous instructions are encoded in a structured message to the pharmacist, and decision support systems can flag lethal dosages and lethal combinations of drugs.